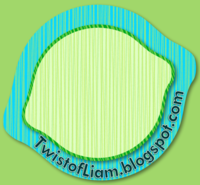 Teaching with a Twist of Liam: Gimme Five! Here's a quickie for anyone who is looking for a different approach to classroom management. I'm not claiming any credit for it - I've seen many versions of it around the web - but this is the version I use with my classes. It's called "Gimme Five". It requires some teaching and practice just like any other approach to regrouping students but it is effective and clear for students to follow. No real flashy codes, just simple, easy to remember directions that make sense. Students are working away (or trying to look like they are working as is often the case) and I begin by counting down from "four...three...two...one". At the same time I am showing four fingers, three fingers, two fingers, one finger. Finally, I call "gimme five" and show an open hand in the air. The students call out "five" (with an open hand in the air) in the same tone as I said it and proceed to give me the five things I have taught them that good listeners give to a speaker. 1) Mouth Quiet: This is ALWAYS number one for me because it helps with number two. 2) Ears Listening to the Speaker: Not their friend, not a rhythm they are tapping. They are listening to the person who is speaking. 3) Eyes on the Speaker: Not their neighbour, not the cute boy across the room, not the bug on the floor or the car outside. They look at the speaker to show they are listening. 4) Hands are Free and Empty: Pens are down and sitting still, being sat on if neccessary. Not playing with someone's hair or drumming on their chair. They are making sure they don't cause a distraction for the other listeners or the speaker. 5) Body Still: This one I find really important and often overlooked in the whole range of Gimme Five's. Students stop where they are and wait until instructions are complete before continuing. I call gimme five loudly and have them respond loudly or whisper it and know that they will respond in the same manner. This becomes really effective in diverse activities/settings (Gym/Library). To be clear, I don't expect them to become statues and especially not at the drop of a hat. Hence the countdown. Starting at four lets them know what is coming and gives them fair warning to stop what they are doing and get themselves sorted by the time I ask for five. It's fair and my students can learn to organise themselves rather than react in a Pavlovian nature. This understanding begins on Day One, without fail. What is the first routine you teach your class each year?